‘Serials’ have been a popular form of story-telling on radio, television and, (in bygone years), ahead of the main movie at afternoon cinema screenings – no one wanted to miss an episode! 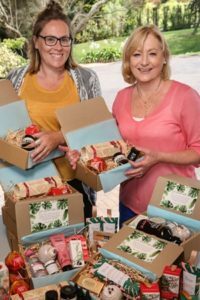 Now an enterprising mother and daughter team have launched Serial Box – a monthly booty of beauty which has recipients eagerly awaiting what surprises the next delivery will contain. Auckland’s Judith Grant and her daughter Jessie Charlton are acutely aware that many people, women, in particular, put aside their needs for those of the family – they ensure everyone else has treats while they do without. So, when exploring options for a joint business venture, the pair thought about busy mums who may have little time, and sometimes limited funds, for their own pleasure. And, it’s easy to see why Jessie, in particular, might relate to caregivers whose priority is their family. She has seven children – six girls and a boy aged 18 months to 18 years. “But, I’m probably no busier than any other mother or caregiver,” she says. “Yes, I have a big family but I’m a stay-at-home mum so my time is all about the family. Regardless of the demands on busy women – work and family – Judith and Jessie says the Serial Box is a way they can treat themselves to a range of goodies once a month with little effort required. While Serial Box is by subscription, there is no contract and boxes can be cancelled at any time. It’s also possible to buy a one-off box as a gift; themed specialty or seasonal boxes are among offerings. At $39 a box, Judith says recipients can expect excellent value and, better still, $3 from each box can go towards a school of their choice. While subscribers enjoy all the fun of opening their beauty box, Judith and Jessie enjoy the process of sourcing goods and packing the boxes. “We source direct from manufacturers and each box usually contains at least five full sized products. We also like to support small New Zealand companies by including at least two Kiwi brands,” Jessie says. “Until recently my husband Mac and I owned and operated a small company specialising in Noni Juice – known for its concentration of vitamins, minerals anti-oxidants – which comes from the Noni tree (Morinda Citrifolia), prevalent throughout the Pacific and South East Asia,” Judith says. 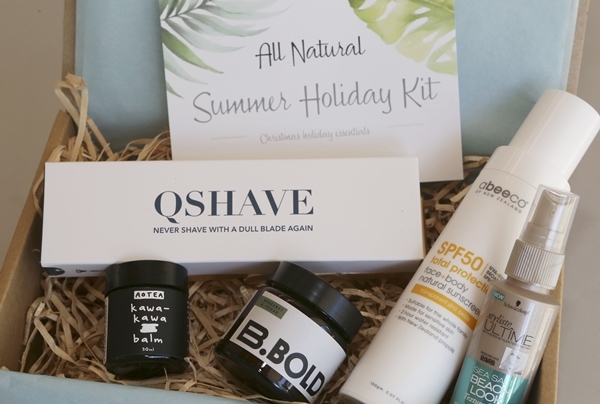 Since the launch of Serial Box, in May, just ahead of Mother’s Day, effective marketing via the website, FaceBook and Instagram, has seen its popularity on the rise, so much so the women are now looking beyond beauty products. But that’s not all; this entrepreneurial duo is now looking to develop a natural skin care range, which they have called Ma, the moniker given to Judith by her grandchildren. The pair say Serial Box subscribers can expect to see the Ma collection in their beauty boxes early next year – now who wouldn’t say “beaut!’ to that?